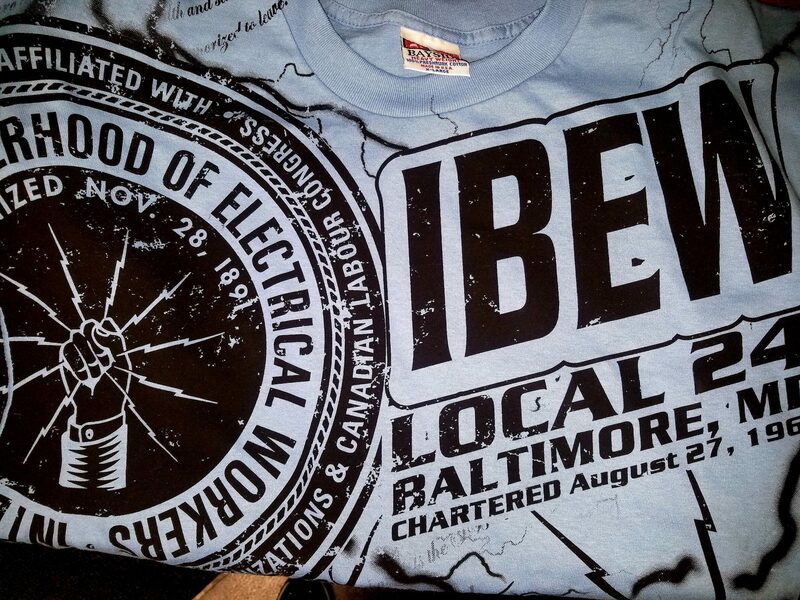 These NO POCKET short-sleeved tees are printed on the front and plain on the back. 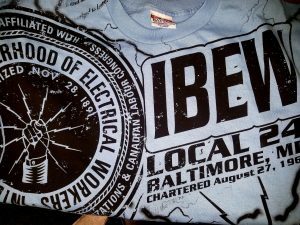 They are available in sizes L thru 3XL in the colors shown below for $18. 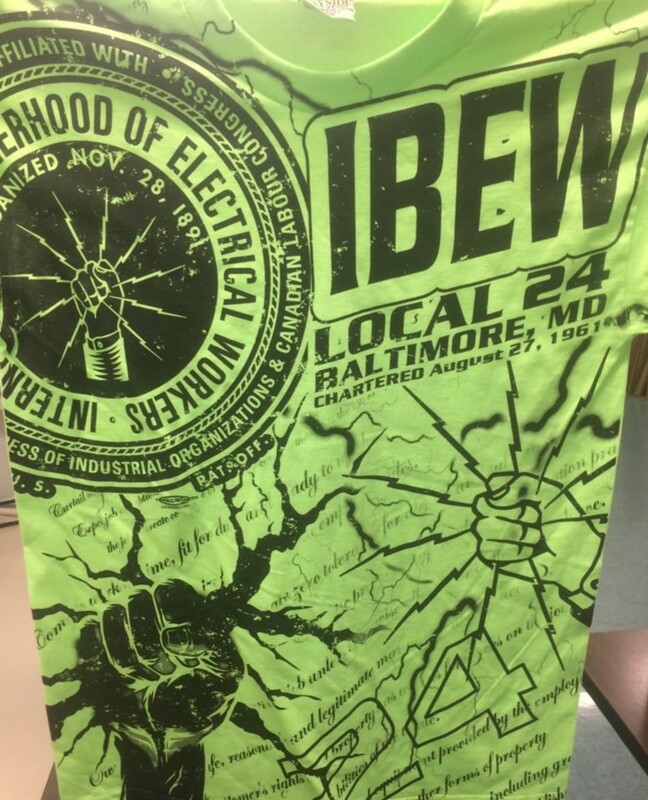 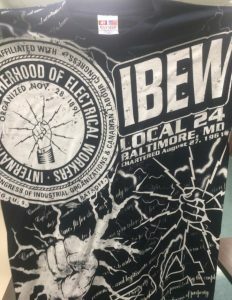 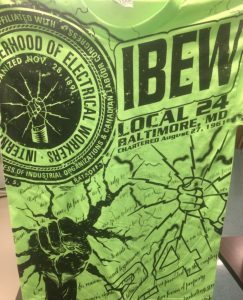 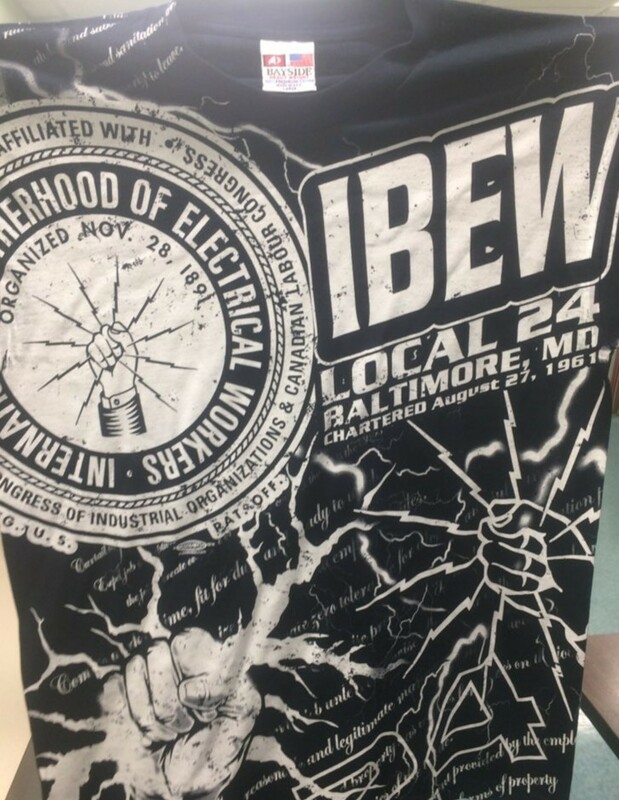 Merchandise is available for purchase at the IBEW Local 24 office in Baltimore. 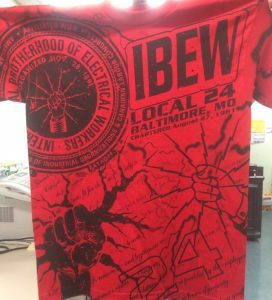 Cash or check payment accepted. 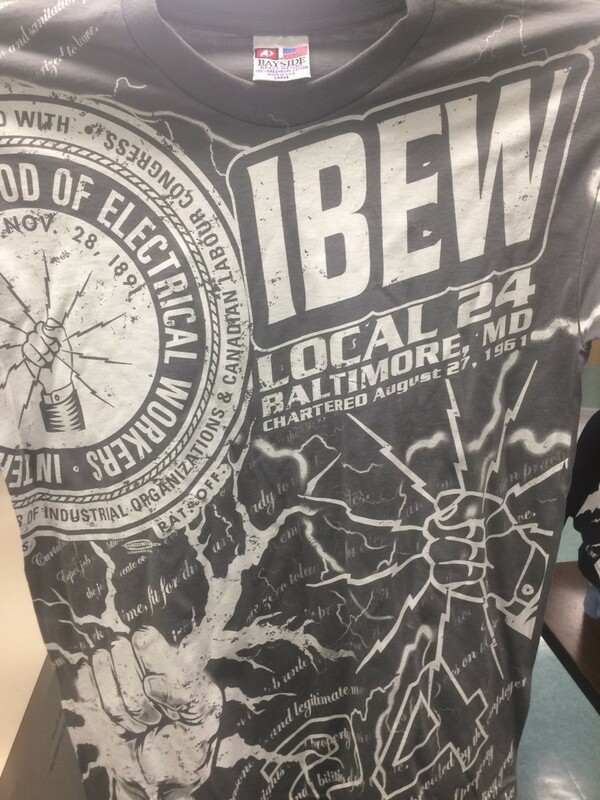 Sorry, no online sales. 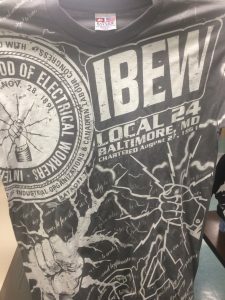 to ask about merchandise availability.